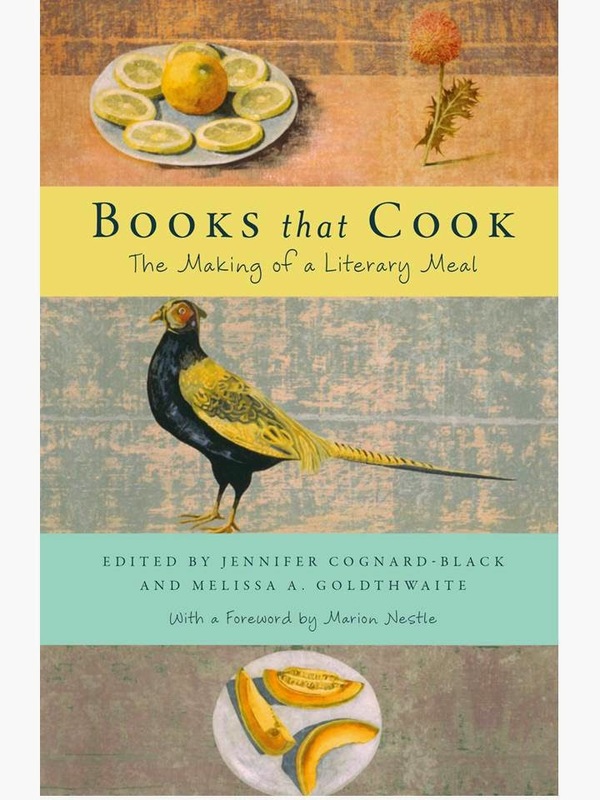 Anyone who has ever read a cookbook for sheer pleasure--or who appreciates creative writing about the sensuous joys of food--will love the new anthology Books that Cook: The Making of a Literary Meal. from the culinary world—Julia Child, Fannie Merritt Farmer, James Beard, Alice Waters—and from the world of letters—Maya Angelou, Sherman Alexie, Nora Ephron...and many others. Co-editors Jennifer Cognard-Black and Melissa Goldthwaite introduce each “course” with an essay putting it in historical context. Tomorrow at Washington D.C.'s fabulous indie bookstore Politics and Prose, Melissa and Jennifer (and a panel of writers including yours truly) will be celebrating Books That Cook. 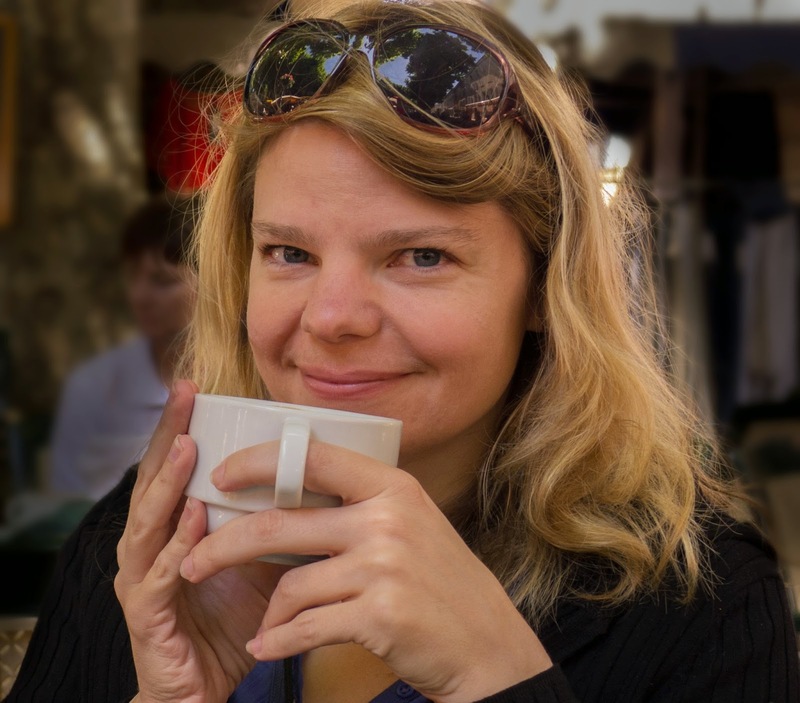 And today Melissa lets me ask her some questions about this delicious project. I’d love to hear about the genesis of this project. In the late ‘90s, I started collecting books—novels, memoirs, essay collections—in which the authors had embedded recipes. One evening, I was standing in a bookstore in Ohio with Jennifer Cognard-Black, and I said, “Someday, I want to teach a class in which all the books include recipes.” That comment started a conversation that has lasted nearly fifteen years—and continues. Every time we talked or visited one another, we were sharing book recommendations and sometimes recipes. In autumn of 2003, Jennifer and I each taught our first versions of a class we called Books that Cook, and a couple years later, conversing in her kitchen in Maryland, we decided to work on a book together. We started sending the book proposal to potential publishers in April of 2007. Seven years later, the book is finally out. How does your teaching feed your writing and research? And how do writing and research feed your teaching? Books That Cook started with personal reading and conservation and moved to the classroom and then to a wider audience, and it will return to the classroom. Much of my research is pedagogical, so there’s a direct link between my teaching and research. When I’m choosing readings for an anthology, for example, I always think not only about the particular piece but also how it will work in the classroom. I sometimes include readings I’m thinking about for a book in a course packet to see how students respond. I try at least a couple times a year, though, to read a book that I have no intention of teaching or writing about because I read differently when I’m going to teach something or write about it in a scholarly way. There’s a different kind of joy that comes from reading just to read. I have to practice that kind of reading. In terms of creative writing, when I give an exercise in class, I often write while students are writing and take my turn sharing what I wrote. And, of course, reading is a great inspiration for writing as well. What makes food such an attractive subject for creative writers? It’s sensory: scents, textures, shapes, colors, tastes. People also often have powerful memories of and strong feelings about food—both positive and negative. Most people have some memory of being forced to eat something as a child, or they remember the excitement mixed with nervousness of a first dinner date or party or, perhaps, the embarrassment of spilling something. The foods and situations are different, but the feelings and experiences are similar, providing common ground. What a character eats or doesn’t eat can also reveal something about that person or a relationship. For example, in Fried Green Tomatoes at the Whistle Stop Cafe, Fannie Flagg shows Evelyn Couch’s sense of self and her developing friendship with Mrs. Threadgoode through food. Although Evelyn eats processed junk food alone early in the book, as her friendship with Mrs. Threadgoode develops, she begins to see herself differently and begins to eat and share more nourishing foods. Tables are also places of conversation, so they provide a perfect setting for dialogue and body language and description. If I’m working with a writer who has difficulty including sensory details, I can say, “Write about a holiday dinner,” and the details start to come. These ritual meals are often good starting places for writing about food. Books That Cook is impressively ambitious and wide-ranging. What were some of the challenges of pulling it together? One of the biggest challenges of this book was permissions costs. Our first table of contents was organized historically, and it was much longer. Even once we changed the organization and cut drastically, there were pieces we couldn’t include because of high fees. We also wanted at least one poem, essay, and piece of fiction in each chapter. It wasn’t difficult to find nonfiction—much literary writing about food is nonfiction. But there are fewer short stories that embed recipes. There are, however, many fine novels. Still, it’s difficult to excerpt from a novel, so that was definitely a challenge. I’m particularly intrigued that you included a selection from the Alice B. Toklas Cookbook. Toklas is such an interesting bridge between the literary and culinary worlds. Can you say something about the choice to include her work here? Toklas called her book a “mingling of recipe and reminiscence,” which is a fitting description. Jennifer and I were interested in including a range of literary writing about food that embedded recipes in different ways. Toklas moves from reminiscence to recipe and back again, sometimes introducing a fully formed recipe in the middle of writing about a particular memory. She’ll be in the middle of a sentence, then there will be a space, the dish title, then a recipe written in paragraph form. She had a writer’s eye for detail and description about food and culture (especially differences between French and American cultures). And she showed the connections among the life of the mind, the preparation and sharing of food, and the importance of spending time with friends. I’m also wondering if you would say a bit about that selection’s final paragraph, in which a friend asks, “with no little alarm, But, Alice, have you ever tried to write. As if a cook-book had anything to do with writing.”? I’m tantalized by that last sentence. What do cookbooks have to do with writing? Cookbooks have everything to do with writing. Cookbook writers have to be attentive to detail, extraordinarily precise—and simultaneously creative, even as they take into account histories and received practices. Later this month, I’ll be doing a reading and cooking demonstration at the Baltimore Book Festival. In preparation (so samples can be made for the audience), I had to describe in detail how to make the dish I would be making. I had to put what comes somewhat naturally into words—with measurements and step-by-step instructions. And then I had to list exactly what I’ll need on stage. I’m terrible at this last part. I asked for—among other supplies—“a large, sharp chef’s knife” when I should have been far more specific. Who knows what I’ll end up with. . . . I just hope I come back with all my fingers. Anyone who has written a cookbook knows the work and the inventiveness that goes into it—and the understanding of form and audience one must have. Toklas also had stories to tell: for example, she writes of preparing a fish for Picasso (and decorating it to amuse him!). She was surrounded by artists and writers. Surely she knew cooking and writing about it as art too. Do you have a favorite cookbook, one that you return to again and again? What do you love about it? I didn’t start cooking until I was in graduate school, and the first book I really used was Carol Gelles’s 1,000 Vegetarian Recipes. It’s definitely not a fancy book. Perfect for beginners. But I loved that book because it taught me the basics—at least of vegetarian cooking. The ingredients lists were manageable, and I learned how to add to a recipe or change an ingredient or two without fear of ruining the entire dish. I’m sure I have at least a hundred cookbooks now, but I rarely follow recipes exactly. When I get a new cookbook, I sit down and look through the entire book, sometimes marking pages with Post-it flags. I go back to the books for inspiration—a reminder of dishes I’d like to try. But when I try something new, I look up as many versions as I can find of a similar dish to see what the common elements are, and then I experiment. I don’t think that I’ve ever followed a recipe exactly after the first or second time making a dish. Have you tried any of the recipes in Books That Cook? I’d love to hear about it. I’ve had versions of several dishes in the book, but I haven’t followed the recipes exactly. Even the recipe for Summer Salad, which I included in my poem in the book, is different from how I make that dish. Sometimes literary taste is different from taste in food! But I have had Howard Dinin’s perfect fried egg sandwich, which is delicious. When I make my own egg sandwich, though, I add Piment d'Espelette and melt aged cheddar on the bread. Can you tell me about your most memorable meal ever? I tend to remember “firsts” more than meals. I remember the fish and chips (wrapped in newspaper) I bought at a street cart in London when I was sixteen; it was the first time I had malt vinegar. I remember the potato croquettes I had this past summer at a truck stop in Germany. I remember my first Prosecco, my first Cerignola olive. I’ve enjoyed multi-course meals at fine restaurants in France and Switzerland. But the meal I remember most was from an Indian restaurant in a strip mall in Columbus, Ohio. The dish was called “shubnub chicken.” It was only my second time in an Indian restaurant, and this dish was so good that I would later lie awake at night thinking about it, replaying the taste and texture in my imagination. For months, I went to Indian restaurants, looking for that dish, and I couldn’t find it on any other menu. Finally, I described the dish to an Indian friend. She said “Shubnub” was a girl’s name, so the dish was likely one-of-a-kind and named after a person, but as I described the taste, she concluded it was similar to chicken makhani (also known as butter chicken), which is widely available. It’s comparable to chicken tikka masala, too, but I’ve never had another “shubnub chicken.” Still, some version of this dish is my comfort food, the food I crave when I’m tired or cranky—one of the few foods that always makes me feel better.